Dr. Christopher Lamb and his staff have been serving the local Chicagoland community for over 35 years. Our denture fees are lower than other offices because we have the denture laboratory and technicians on-site. We can work with most dental PPO insurance progams to save you even more out-of-pocket cost. And if you need a payment plan to make getting your new smile even easier; we do accept Care Credit. With our on-site lab, most dentures and partials can be repaired in about 1 hour. Repairs usually range from $39 to $199. There is never a charge to look at your denture for an exact quote. 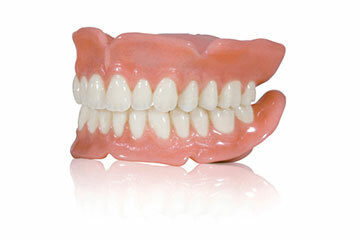 Custom Ultimate Plus Dentures at Laboratory Pricing. 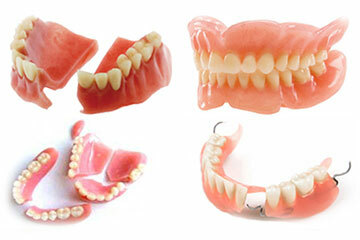 No need to wait days without your denture to have it repaired. Have your dentures permanently relined in as little as 3 hours. Great service at fair price! 45 minutes to replace a tooth in my upper denture! Very Happy! 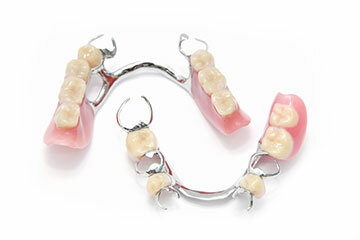 The ADA recommends replacing your dentures every 5 to 10 years. As your bone shrinks over time, and denture teeth wear down, replacing your dentures will help with with eating and chewing, digestion, and overall health. How are you different from a big box dental chain? Our pricing is almost identical. However, with over 35 years of experience, we can guarantee the highest quality results at our office. Dental chains can vary greatly depending on the experience of doctors and staff. When do I need to have my dentures relined? Relines are suggested about every 3 years. A reline my also be needed 4 to 6 months after extractions. As time goes on, space forms between your denture and your ridge. A reline permanently fills in this space. Hours for the current week. Payment plans for most services with 0% APR for 6 or 12 months.